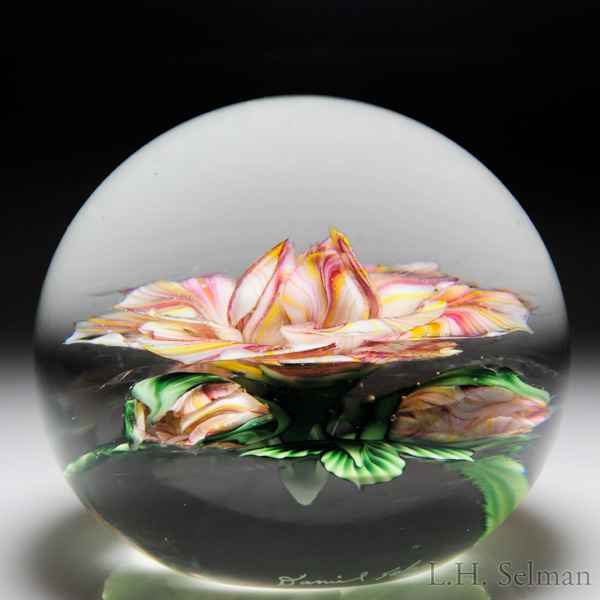 Lundberg Studios 2005 “Peace Rose” paperweight, by Daniel Salazar. Variegated petals in shades of yellow, pink, white and red are opulently layered and splayed at the outer edges of a bloom that closes into a ball at its center. Three sprigs, each with three leaves, peek shyly from beneath, over clear ground. Signed/dated. Diameter 3 7/8".